Fatgirl Hedonist: Instacart Is In The 305 And I'm Hooking You Up With Free Groceries! Instacart Is In The 305 And I'm Hooking You Up With Free Groceries! Instacart is here and it's spreading through out South Florida like wild fire. Having launched in Miami back in May of this year it'll be in North Miami this week. Instacart is the brain-child of engineer Apoorva Mehta. After working long hours at Amazon, he realized he never had food in his fridge and other grocery services were too cumbersome. This caused Apoorva's wheels to start turning and in 2012 Instacart was born. 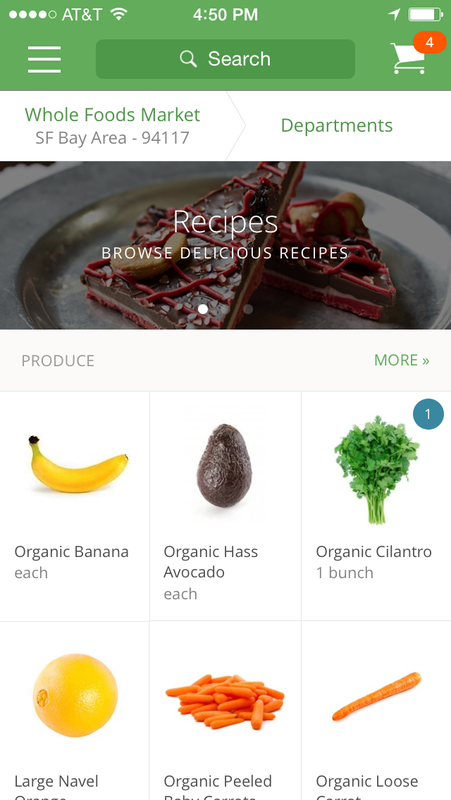 Instacart cuts out the need of inventory, warehouse and trucks like that used by other services and instead connects customers with personal shoppers, or independent contractors who shop for and deliver grocery orders, providing their own transportation. Instacart is already in 15 other cities across the country and now that they're in Miami, Instacart will deliver a full selection of groceries in as little as one hour from Whole Foods, Winn-Dixie, BJ's Wholesale, Costco, and Petco in Miami. A quick run down of how it works is, customers order on their site, iPhone, or Android app, a Personal Shopper hand selects your order, calls you if what you requested is not in stock and then personally delivers the order. So as usual, I'm here to give you a hook-up! I've teamed up with Instacart to give my readers and followers some free groceries. 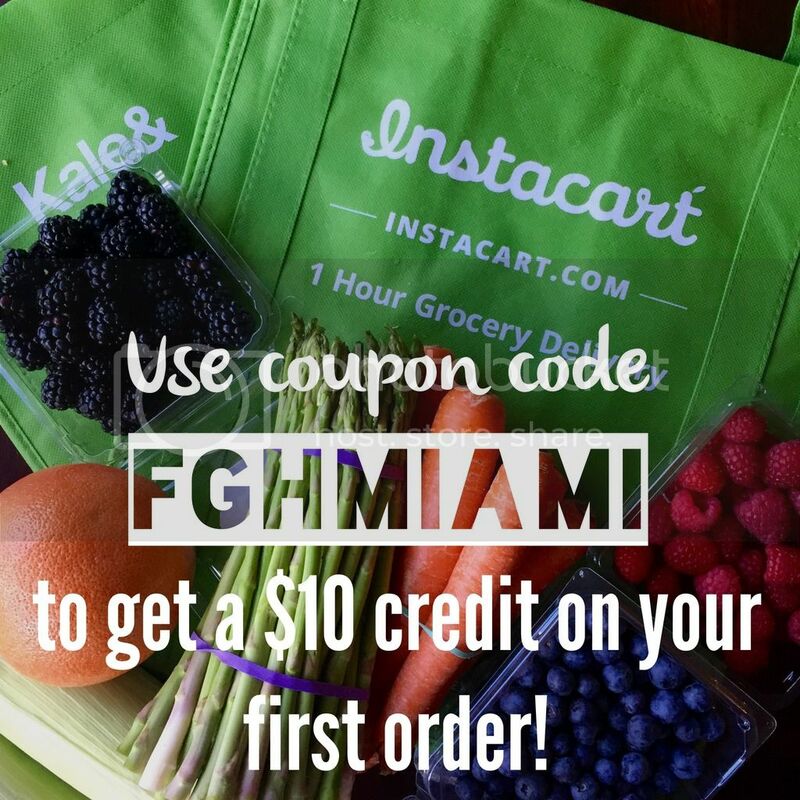 First time Instacart users are welcomed to use the coupon code FGHMIAMI to cash in on $10 off your first order. Now this coupon code will only be good for one week and will expire on 6/30/2015.... so don't sleep on this and cash in on your free food NOW!